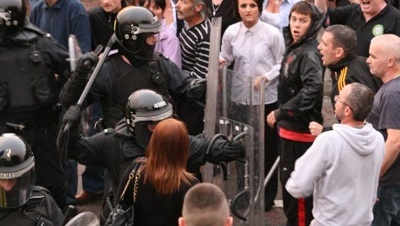 Heavy rioting has erupted tonight in east Belfast after a Sinn Fein event was attacked by a large loyalist mob. 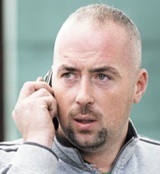 Declan McGlinchey, son of INLA leader Dominic McGlinchey, has been found not guilty of four charges relating to making and possessing a bomb after the prosecution admitted its low-copy DNA evidence was “insufficient”. A new ‘peaceline’ has been erected in Belfast, 40 years after the first such barriers were built to keep the divided communities apart. The 26-County Minister for Foreign Affairs Micheal Martin has launched an extraordinary attack against the ‘Coir’ campaign on the Lisbon Treaty referendum. A sectarian arson attack has destroyed an Irish language school in Castlewellan, County Down. 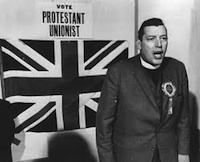 The last day of the marching season saw loyalist bands play sectarian tunes through republican areas and a village in County Down completely shut down, with tailbacks of up to seven miles long. A spate of serious sectarian attacks followed a contentious parade in the County Antrim village of Rasharkin last weekend. West Belfast Long Kesh escapee Pol Brennan said it is a “bittersweet” feeling for him to be back on Irish soil after his deportation from the US at the weekend. The Police Ombudsman has confirmed that a Crown force informer was a member of a gang that gunned down a father of six in front of his wife and children. 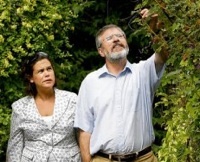 It has now been confirmed that UDA leader Jackie McDonald was one of over 100 unionists who laid siege to homes in the Peggy’s Loaning area of Banbridge for several hours on Tuesday, August 11. There has been a wave of praise by politicians in Ireland and Britain following the death of US Senator Edward Kennedy for his efforts in the Irish peace process and his decades of political service. Former Irish political prisoner Pól Brennan was deported from the US today [Friday], returning to Ireland for the first time in 25 years. An international human rights adviser is to investigate the circumstances in which four young people, including a 13-year-old child, were injured with plastic bullets in north Belfast last month. The families of two unarmed IRA Volunteers shot dead by the British Army SAS nearly 20 years ago are to take their case to Europe over the failure of the RUC police to hold a genuine investigation. 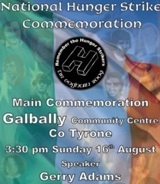 As part of a weekend of events a rally and wreath-laying ceremony took place in the village of Galbally -- home of Martin Hurson, the sixth person to die in the 1981 fast. Hundreds of members of the West Belfast community gathered on Sunday for a march and rally to mark the 40th anniversary of the pogroms of August 1969. 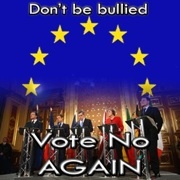 A group campaigning for a ‘No’ vote in the October 2nd referendum on the Lisbon Treaty has expressed concern over guidelines issued to broadcasters. 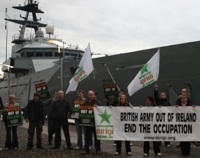 Two republican activists boarded a British warship in Belfast last weekend. This urgent action alert is from the Pol Brennan support group. Sinn Fein brushed off suggestions of internal unrest following a meeting in Navan, County Meath, this week. Residents are demanding that the British Army stop using a County Tyrone village as a training centre for its war in Afghanistan. Members of the Policing Board have unanimously appointed Englishman Matt Baggott, head of Leicestershire police, as the new PSNI chief. Up to a hundred loyalists descended on an area of Banbridge, County Down this week terrifying residents and ripping down two Irish flags. A sit-in action by workers who occupied the Dublin store of international travel company Thomas Cook ended violently this week when scores of Garda police used battering rams to raid the premises and arrest the workers. 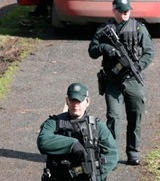 The PSNI have been accused of facilitating the KKK-style intimidation of a Catholic family in Larne. The PSNI are likely to mount a military-style operation to force an Apprentice Boys parade through a Belfast sectarian interface this weekend. The North’s Policing Board has agreed to sell off underused and abandoned PSNI stations in towns and villages across the Six Counties. 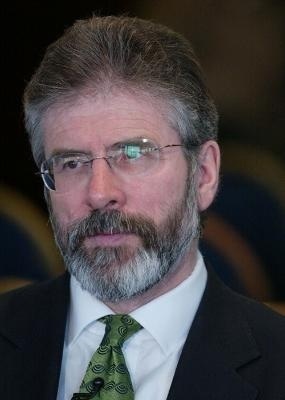 Sinn Fein President Gerry Adams has issued an open letter to the Orange Order Grand Secretary Drew Nelson.